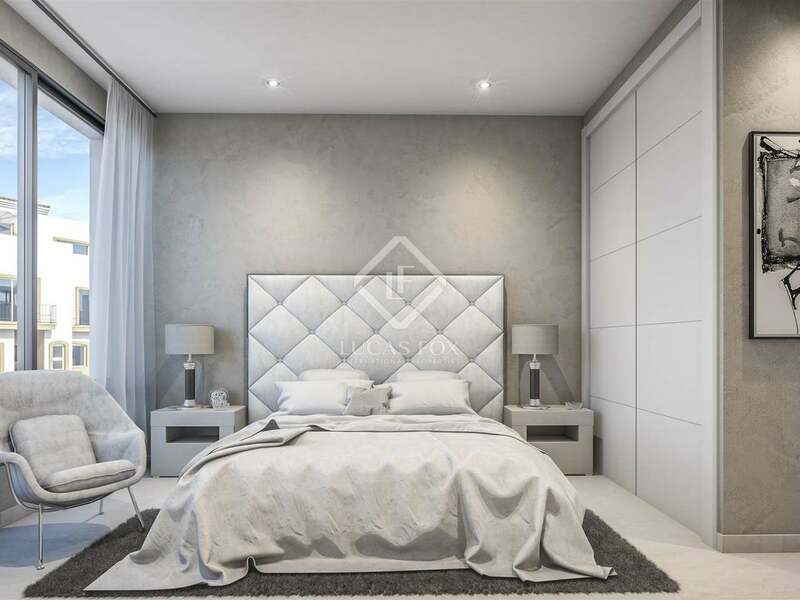 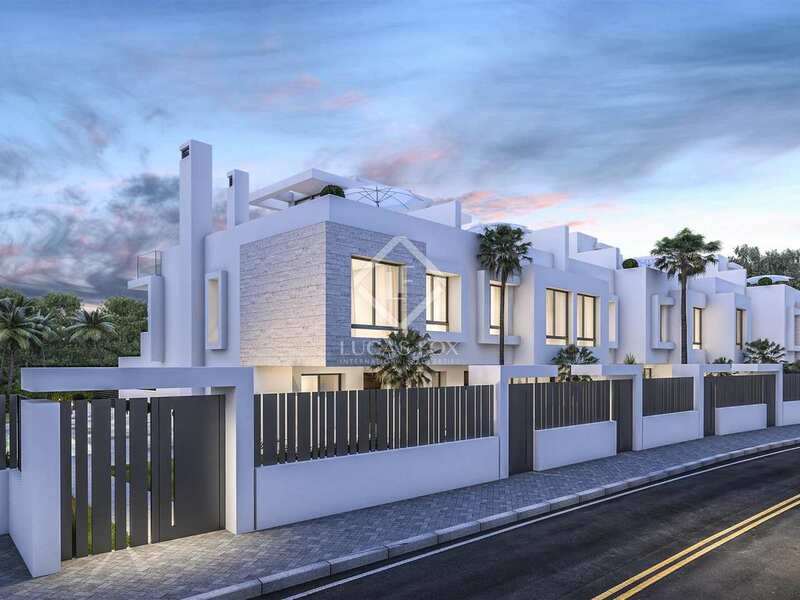 A boutique development of just 6 modern houses with 3 bedrooms, a garage, private garden and communal pool, for sale in Estepona, just 50 metres from the beach. 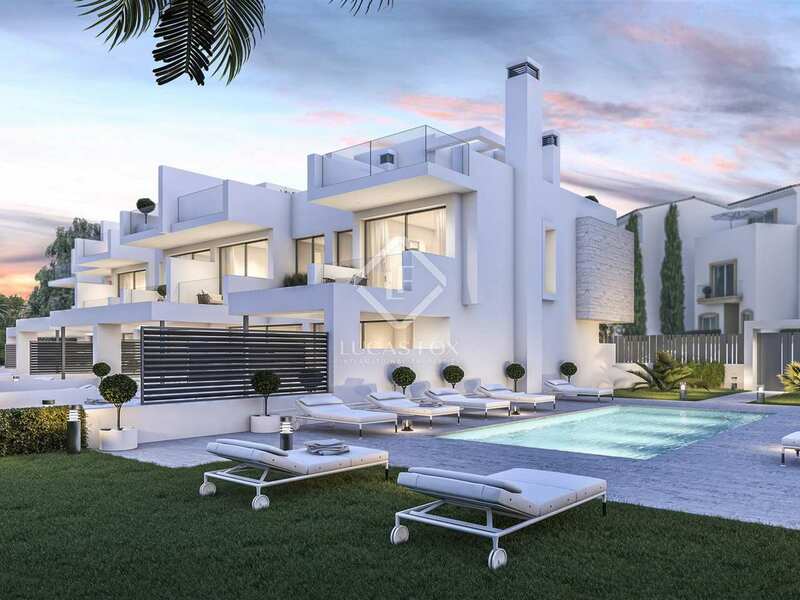 Stunning modern family houses for sale in a brand new development close to a great beach in Estepona. 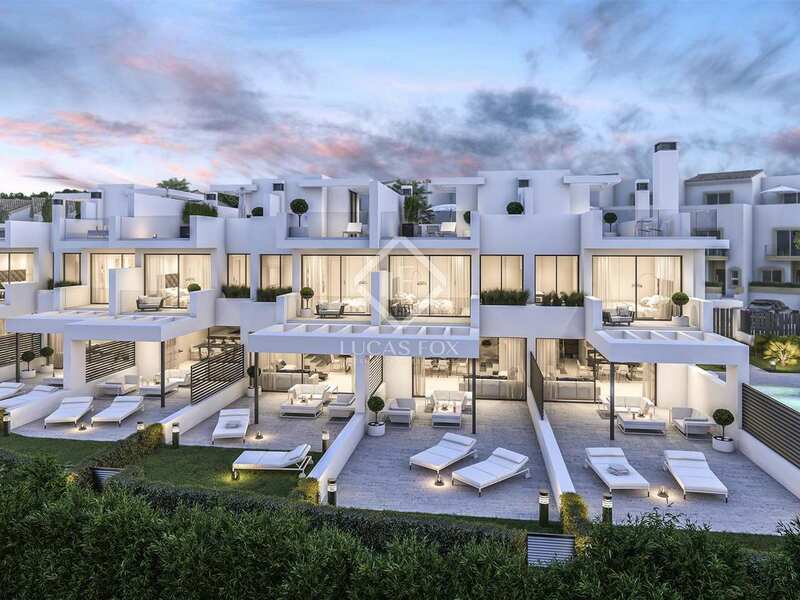 Just 50 metres from the gorgeous beach known as Playa Guadalobón and a mere 5-minute drive from the centre of Estepona, we find this charming new development of contemporary style family houses sharing an inviting communal pool. Contemporary design and architecture is combined with luxury quality finishes in these stunning beachside homes which all come with a private garden, terraces, 2 parking spaces and a storage room. 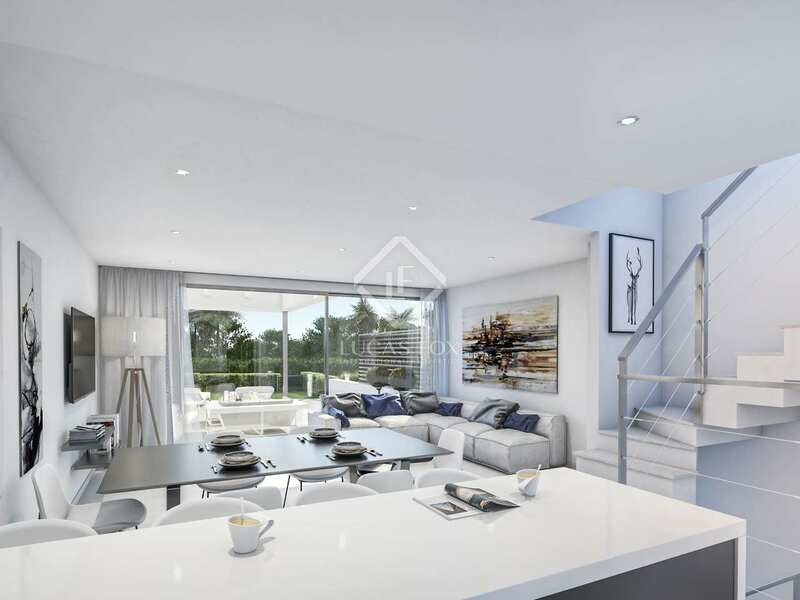 There are just 6 houses in this boutique development, with a built area of between 290 and 317m². 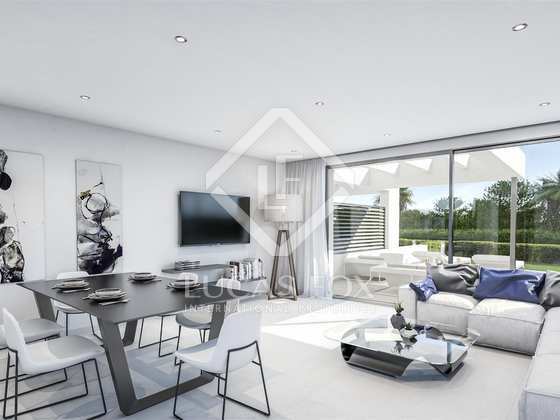 All of the houses have a lower ground floor with a 2-car garage, a laundry area and a large storage room, a ground floor with a guest toilet and a spacious living area with a modern open plan kitchen, a first floor with 3 bedrooms and 2 complete bathrooms, as well as rooftops boasting solarium terraces with lovely views. 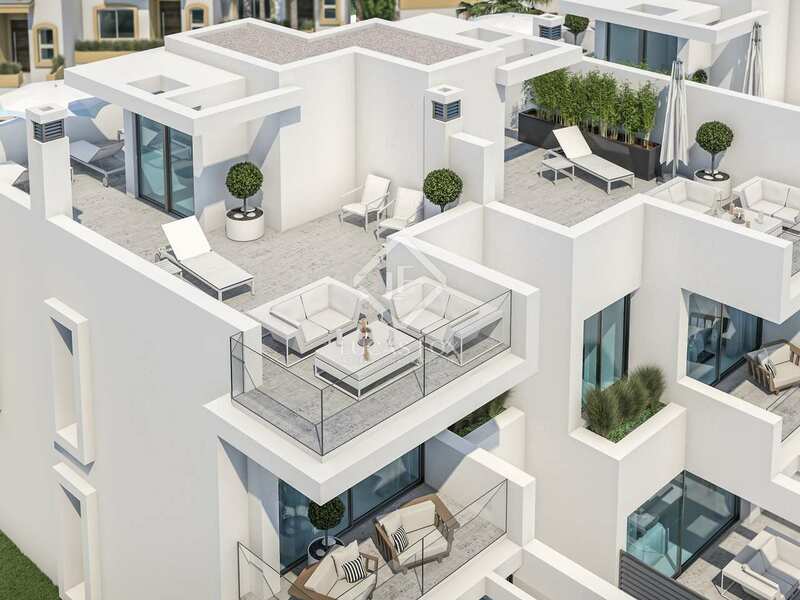 Contact us for further details about these charming new build homes in a great location next to one of Estepona's best beaches. 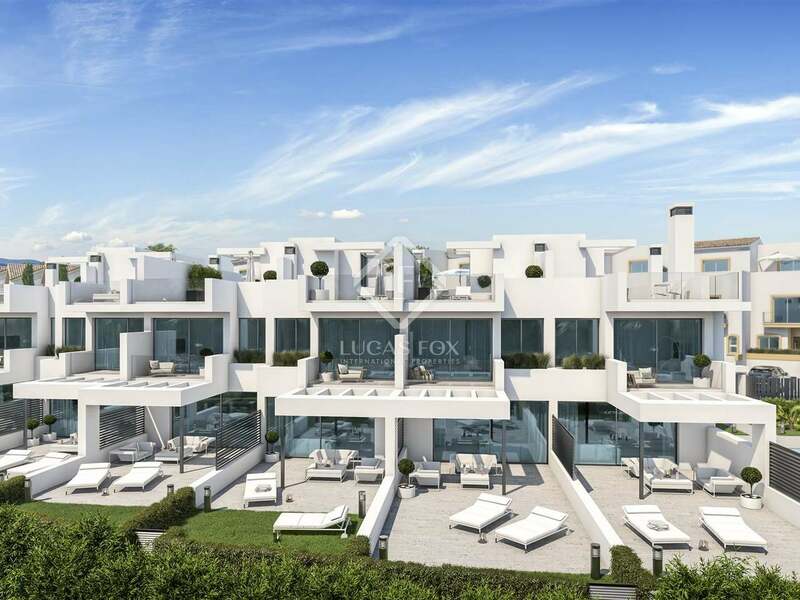 This new development is located a 5-minute drive to Estepona centre, 20 minutes to Marbella, 45 minutes to Málaga International Airport and 25 minutes to Gibraltar. 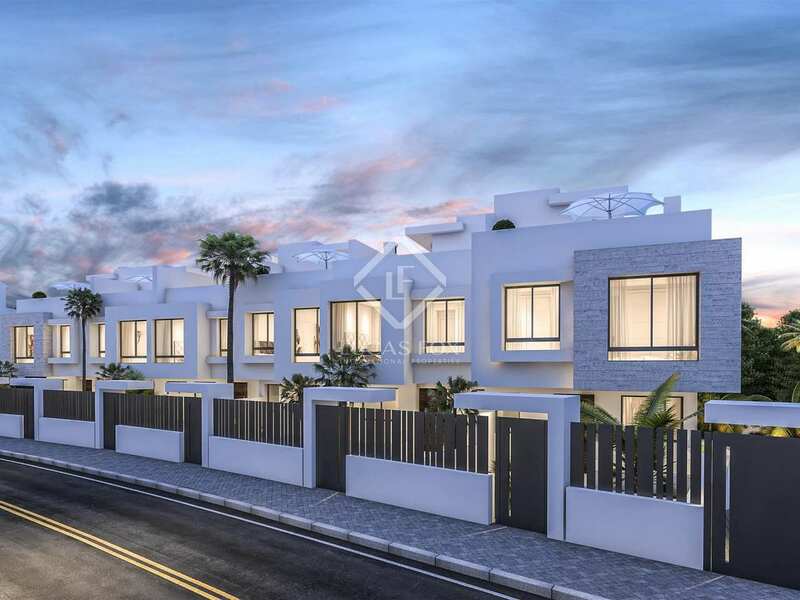 It is situated just 50 metres from one of the best beaches in the area, Playa Guadalobón.